textured swirl wire and bead drop. Silver beads are 4mm and 7mm. 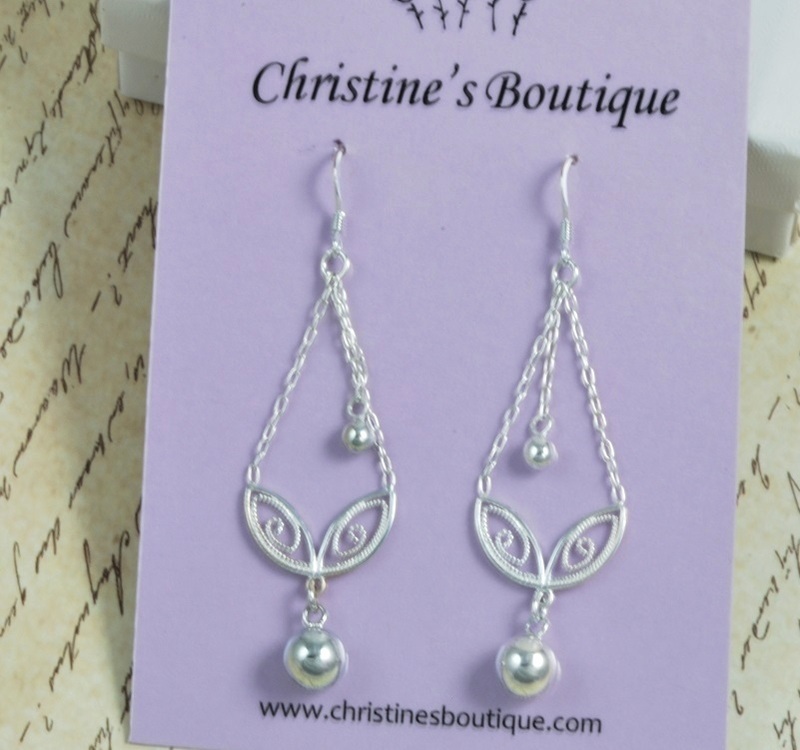 Earrings are approximately 67mm x 19mm.